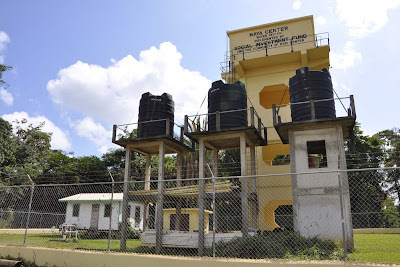 Belmopan, Monday, 24th January, 2011: A new water system that will supply quality potable water to some 400 residents of Maya Centre and Kendall Villages in the Stann Creek District will be officially inaugurated this afternoon at the tank site in Maya Centre Village. 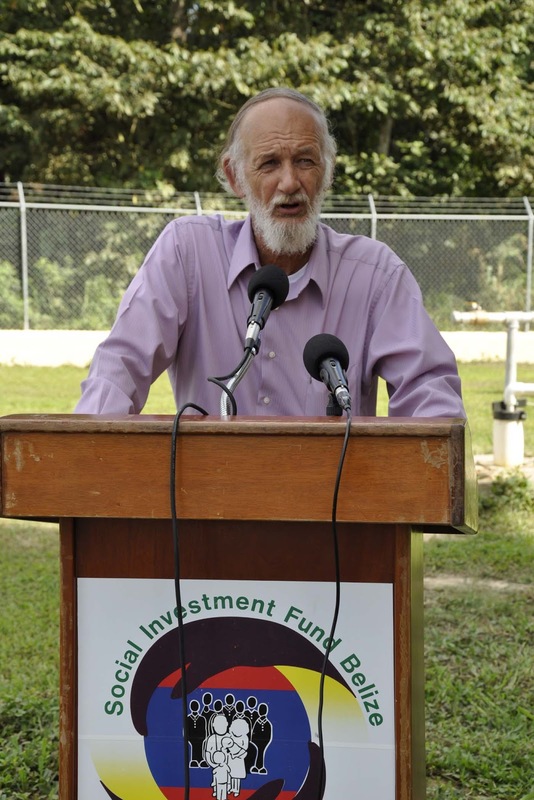 The project was financed by the Government of Belize, through a loan from the Caribbean Development Bank (CDB) at a total cost of $342,000. It was implemented by the Social Investment Fund, a statutory body in the Ministry of Economic Development. The project consisted of the construction of a 20,000 gallon Ferro-concrete, elevated water tank, a concrete pump house with chain link fence, supply and installation of a 7.5 HP submersible Single Phase Pump, one chlorinator unit, installation of a network of 4,000 ft of distribution pipes and the installation of 80 water meters. The Maya Centre Water Board provided the pipes and labor for the trenching. The communities of Maya Centre and Kendall are located approximately 14 miles from Dangriga Town. Maya Centre has a population of 300 inhabitants in 60 households while Kendall has a population of 95 residents. Maya Centre is located at the entrance of the Cockscomb Basin Wildlife Sanctuary & Jaguar Reserve and therefore has great tourism potential. Minister Hulse turning on the valve. 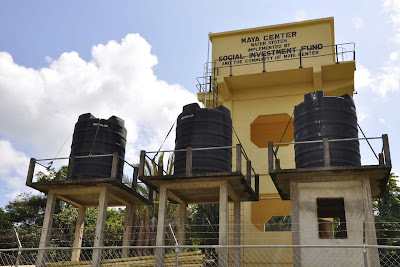 Besides increasing the economic opportunities for Maya Centre and Kendal Villages, improvement to the water system will also allow these communities to provide a better service to tourists while the residents will enjoy better sanitation and good health through a safe and reliable water source. The guest speaker at this afternoon’s official opening ceremony will be Hon. Melvin Hulse, Minister of Transportation and National Emergency Management Organization (NEMO) and Area Representative for Stann Creek West. Other speakers will include officials of the Social Investment Fund and the Maya Centre Water Board. Hi Linda, Once again you have given us an update on what's going on in our beautiful country and I am so proud of you and the work you are doing. I am sure I am not the only one who feels this way. Linda, Thanks so much for keeping us up to date on the happenings going on back home in Belize. This is a very good thing. However there are 3 very important factors that need to be stressed before this project can be considered a success. 2. The water must be chlorinated to insure that water borne bacteria does not contaminate the system. Although most Belizean's do not like the taste that the chlorination will leave behind. If they do not do this the water will become unsafe to drink and the project will have failed. 3. This system will not maintain its self. People need to be trained and committed to "safe drinking water". Sheree: Thanks for your comment! All of these issues have been in place before the official opening of the water system. 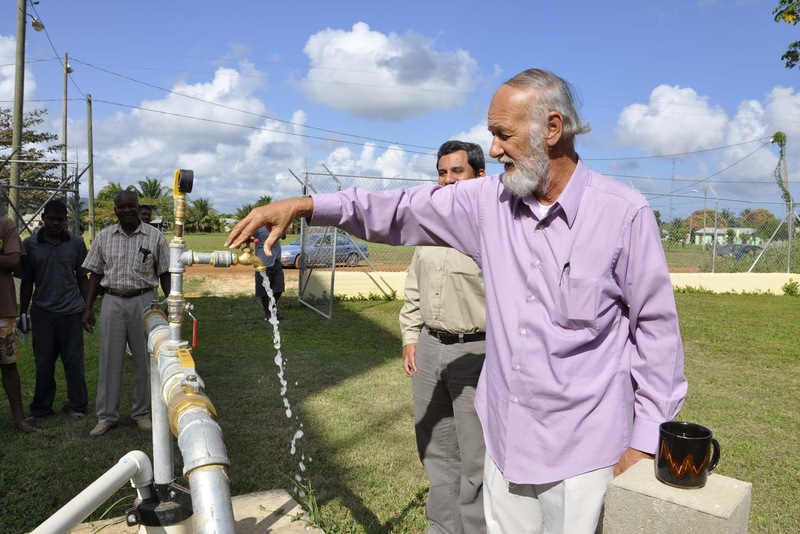 Many months before the project completion the Social Investment Fund and other agencies worked with the Village Councils and the villagers to come up with a monthly fee for the service, lay the pipes and select the people that will be maintaining the system. What normally takes place is the selection of a villager to collect the monthly fees, one or two people to test the water and maintain the pumps. There is also an individual selected to maintain the grounds. The fees that the villagers pay, about Bz$12.00 (US$6.00) monthly go towards the budget for monthly expenses. The system is safe and everyone should have fairly safe drinking water and happier villagers overall.